Facebook Messenger is the ideal platform to get in contact with your potential customers. It is a powerful combination of social network and chat application. Users are already used to get in contact with companies via social networks. Additionally, they are familiar with using the Facebook Messenger: There are 1.3 billion active users on Facebook Messenger. Thus, it is one of the most widely used chat applications worldwide. 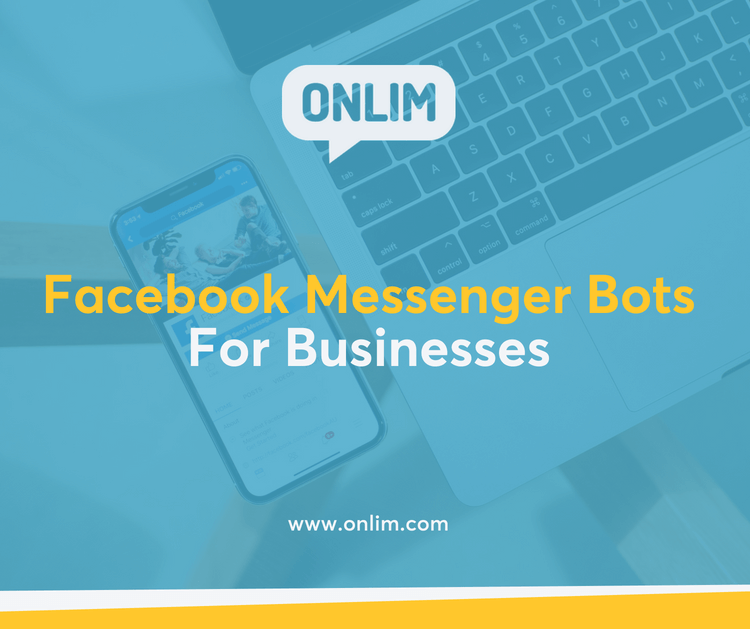 A Facebook Messenger bot is a great tool to help companies adapt to these user habits and improve their customer service. A bot can answer customer inquiries on Facebook around the clock. They can solve customer problems on its own or, if necessary, refer it to a human employee. This means long waiting times in case of a high number of inquiries or on the weekend, are a thing of the past. A great opportunity many companies are already aware of. Facebook’s VP of Messaging Products announced at this year’s F8 conference that there are already 300,000 monthly active bots. But how can you use Facebook Messenger for your own business? In this article, we have summarized the most important sources to learn about Facebook bots and help you get started. To create a Facebook Messenger bot, you have two options: You can use a chatbot tool or you can write the code yourself. If you decide to use a tool, it is highly recommended to determine your requirements first. Think about what functions are a must-have for you? There are a great number of different tools out there and you need to know what you are looking for. This overview will help you to get started with your tool research. If you prefer to build your own bot, this article will give some insights. To get started and learn the basics, it’s always a good idea to watch some tutorials or read about it first. For example, this Hubspot tutorial for Marketers or this blog post by Neil Patel provide a lot of information to get started. Both articles deal with the advantages, give an overview of necessary tools and practical tips for the implementation of your own bot. Additionally, you will find a useful overview of the main features on developers.facebook.com. If you prefer to watch videos to familiarise yourself with the topic, you can watch tutorials by codedamn or Chatbot’s Life. To save a bit of time, you can use existing templates. For example, Facebook itself offers a number of templates for creating lists or confirming orders. More templates for specific features can be found on Botpress.io. Botmakers.net even provides ready-to-use paid chatbot templates. For instance, you can set up bots for webinars, appointments or events. Regardless of the template you are using, you should always think about the benefits from a user perspective. And also adapt them to your corporate identity. A good template can reduce your workload a lot. However, if you want to create a personalized chatbot adaptations will always be necessary. The tips are still too abstract? In that case, a few examples may help you understand what it means to create a good chatbot. For example, this article written by Adespresso shows you five great use cases for chatbots and explains why they work. Additionally, it will make you think about questions to consider before the implementation of your own chatbot. 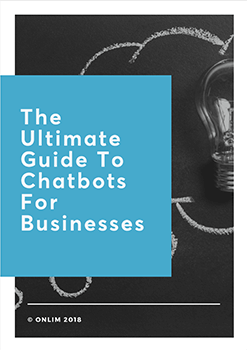 This analysis of the Techcrunch bot provided by Chatbot Academy will give you a deeper understanding of the different elements of a chatbot conversation. The analysis was already published in 2016, but it highlights many important elements of a chatbot conversation that are still important today. By Stephanie|2018-11-14T08:34:28+02:00June 20th, 2018|Categories: Automation, Chatbots & AI|Tags: AI, bots, Chatbots, chatbotslife, chatfuel, Facebook Marketing, Facebook Messenger Bot, Facebook Messenger bots, onlim|Comments Off on Facebook Messenger Bots For Businesses: That’s how you get started!